What if there was a notebook in which you just had to write a person's name to kill them? 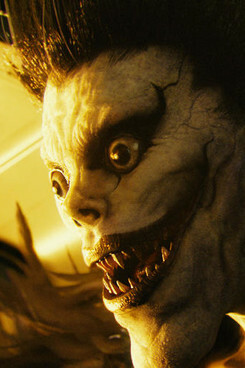 The Death-Note series tries to provide an answer to this scenario. 10 years have passed since the death of Kira, when mysterious deaths startle the world again. But when a private investigator is charged with solving the case, he realizes to his horror that this time six Death Notes have appeared. Those who manage to bring them under their control can rule the world. A fierce struggle for the legitimate succession of Kira begins. Tsugumi Oba and Takeshi Obata created a true cult manga with Death Note, the exciting cat and mouse game between Kira and Interpol detective L. Followed by multitude of anime and live-action films. Now director Shinsuke Sato opens a whole new chapter of the series with Light up the new World, with completely new characters and rules. Sato, already known for his rapidly staged genre hits (Princess Blade, GANTZ, I am a Hero) manages to meet the high expectations of the fans and at the same time imposes his very own touch on the franchise. Death Note: Light Up the New World wurde auf dem 19. JFFH 2018 gezeigt.